The Gospel of Luke has been described as the loveliest book ever written. 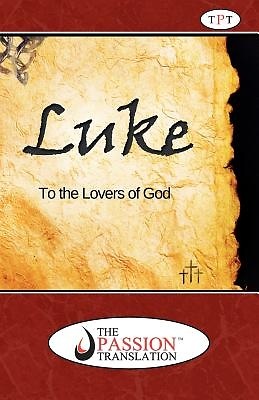 Penned for all the "lovers of God," Luke writes clearly of the humanity of Jesus-as the servant of all and the sacrifice for all. In Luke, we see Jesus as the Savior of all who come to Him. Many of the stories in this Gospel are not found in any of the others. If we did not have Luke, we wouldn't know about the stories of the Prodigal Son, the Good Samaritan, the wedding banquet, and many other critical teachings All four Gospels in the New Testament are inspired by God, but Luke's story is unique and distinct. Every barrier is broken down between Jew and Gentile, men and women, rich and poor. Luke's narrative gives equal time to each and flows from one to another seamlessly. You will enjoy this new translation that takes the stories and truths so dear to us and renders them into dynamic prose-one that restores the original vibrancy of the book. About the Translator: Dr. Brian Simmons has previously been involved in the translation project of the Kuna New Testament and has studied linguistics and Bible translation principles through New Tribes Mission. He and his family spent nearly eight years in the tropical rain forest of the Darien Province of Panama as a church planter, translator, and consultant. Afterward, he assisted in planting a thriving church in West Haven, CT-Gateway Christian Fellowship. Dr. Simmons now travels full time as a conference speaker and Bible teacher. Brian has been married for over forty years and boasts regularly of his three children and six grandchildren. He and his wife, Candice, make their home in Wichita, Kansas.